Certifications: Certified Protection Professional (CPP) – Board Certified by ASIS International. Industrial Security Professional (ISP) – Board Certified by National Classification Management Society. Affiliations: ASIS International, National Classification Management Society, Greater Raleigh Chamber of Commerce, RTP CFO Forum, 2016 Community Health Needs Assessment (CHNA) Steering Committee for Wake County. Triangle Family Services – 2015/2016 Board of Directors – Chairman; former Vice-Chairman, Gingerbread Benefit Co-Chairman 2014, 2013. RTP CFO Forum – member of the Board of Directors 2013 to present. 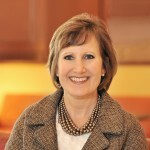 Greater Raleigh Chamber of Commerce – 2013-2014 Executive Committee and member of the Board of Directors, 2008-2010 member of the Board of Directors. ASIS International – 2014 Women in Security Liaison, former Region 14 Assistant Regional Vice President, Chapter Chairman, Vice Chairman, Treasurer, and Scholarships and Awards Chair – ASIS Chapter 119. National Classification Management Society – former Ad Hoc Committee, Secretary, and Treasurer. We were hired by a community college system to do a security assessment of their entire system including 14 regions and over 21 distinct campuses. We put five teams on the ground to do the interviews, site reviews, and light surveys. This project was particularly interesting in that we were assessing a statewide community college system working to meet the needs of a very diverse customer base in an area that has been heavily challenged by a downturn in the economy. The campuses are located in urban areas within large cities, in far reaching rural areas, and everywhere in between. This project was a good example that there is no “one size fits all” security program but that a comprehensive security philosophy can be adapted effectively over multiple sites within an organization. Awareness and training programs, minimum standards and specifications, and policies and procedures were developed system wide which formed the framework for the on-going security program. Site specific security protocols were tailored based on location, population, and other risk factors. This allowed the statewide community college system to centralize processes where possible, develop security standards for the deployment of security technology, and deploy security assets in a pragmatic and efficient manner. The thing I enjoy most about my role in security is the ability to partner with businesses to help them be more successful. A company cannot stay in business very long if they are not profitable. When you can help clients see that security programs are the framework for their organization’s stability and prosperity, it is very gratifying. We work with clients to connect the dots so that they can efficiently and effectively know where they are most vulnerable and how to manage the threats that are most likely to adversely affect their reputation and bottom line. Too many organizations think that security technology is the answer without realizing that it takes a whole company approach that integrates the people, processes, and technology working together to meet the collective objectives. We are vendor agnostic, so we are not out to sell a customer our technology. That is a deliberate choice because we believe that our clients will get the benefit of our collective knowledge and experience without having to worry that we are making self-serving recommendations. The best part of my job is to see clients succeed and prosper.